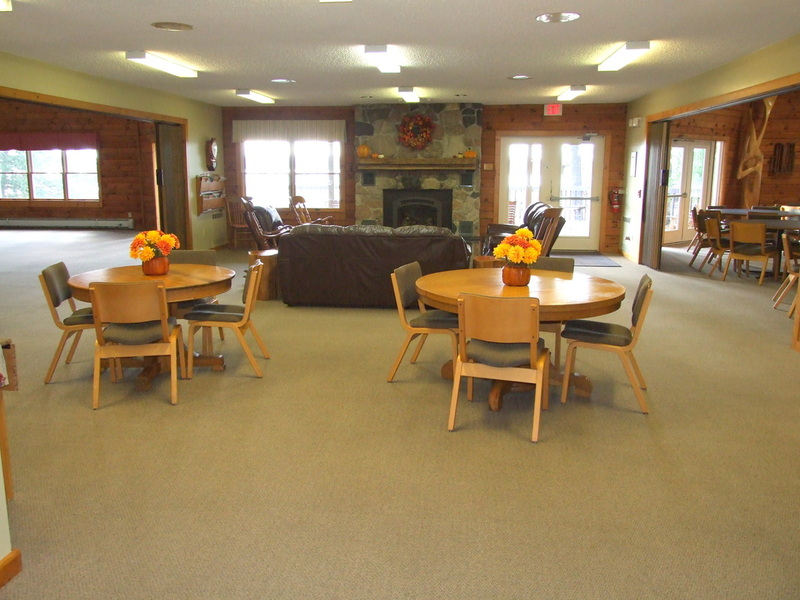 The Lodge has 18 lodge rooms. 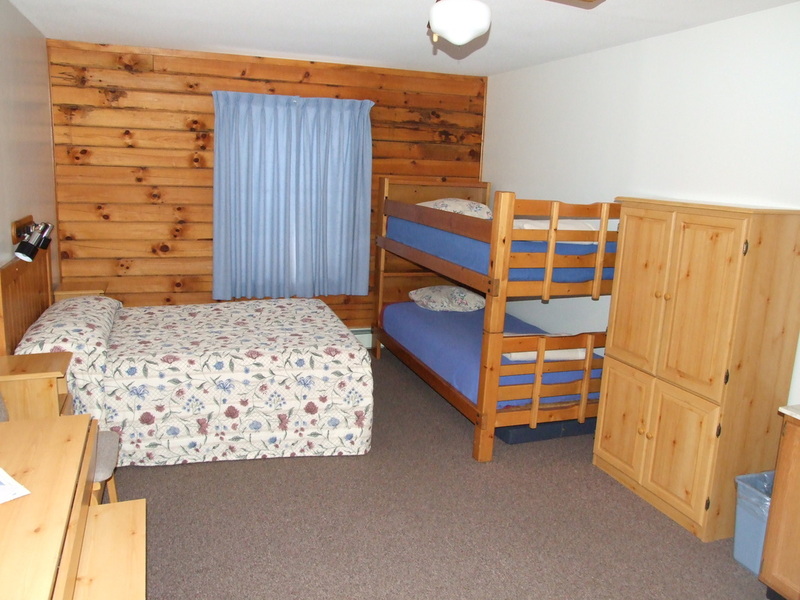 Our standard lodge rooms sleep up to five people and feature a double bed, a bunk bed, and a floor mat. The rooms also feature a private bathroom and shower and a table with benches. 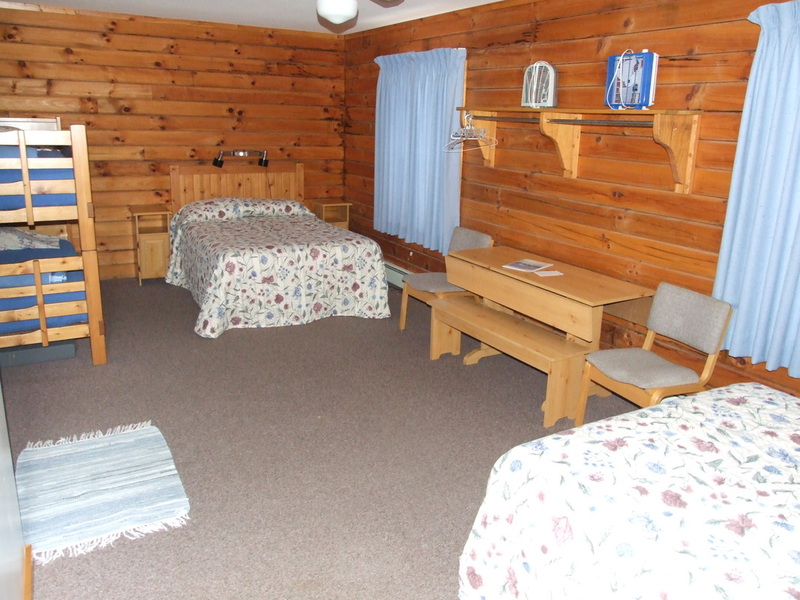 Two of our lodge rooms have two queen beds, a bunk bed and a floor mat, sleeping up to seven, and one room has three queen beds, a bunk bed, and a floor mat, sleeping up to nine people.